Gene, Phyllis, Bruce, John T., Kyle, DianaLynn, Frank, John M. drove to Richland on Saturday morning to join Carmen and Gunar at Ron and Gloria's pond for a review of some of the changes Ron has made to their pond, filtration and quarantine facilities. The old filter system was impressive--the new one is even better! Gloria manned the barbecue, smoke and all, to cook up hamburgers and hotdogs for the group - a wonderful potluck lunch was a welcome addition to the workshop. 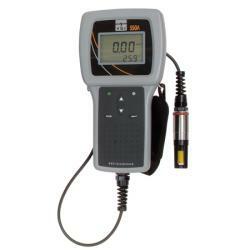 Hi-Tech dissolved oxygen - Ron demonstrated his YSI meter and compared dissolved oxygen levels in his pond and quarantine facilities. 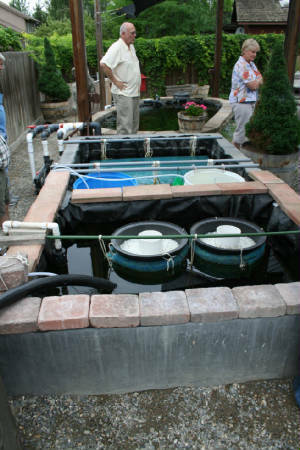 Gene and Phyllis had brought a sealed jar of water from their koi pond to add to the demo - and Bruce brought his Chemetrics DO chemical test kit for comparison. 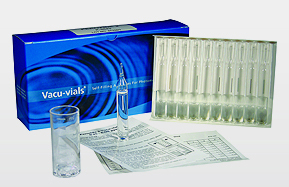 Andersons' water that had tested at home with the Chem test had resulted in a 90% reading; Ron's meter read the sample of water at 93-94%. 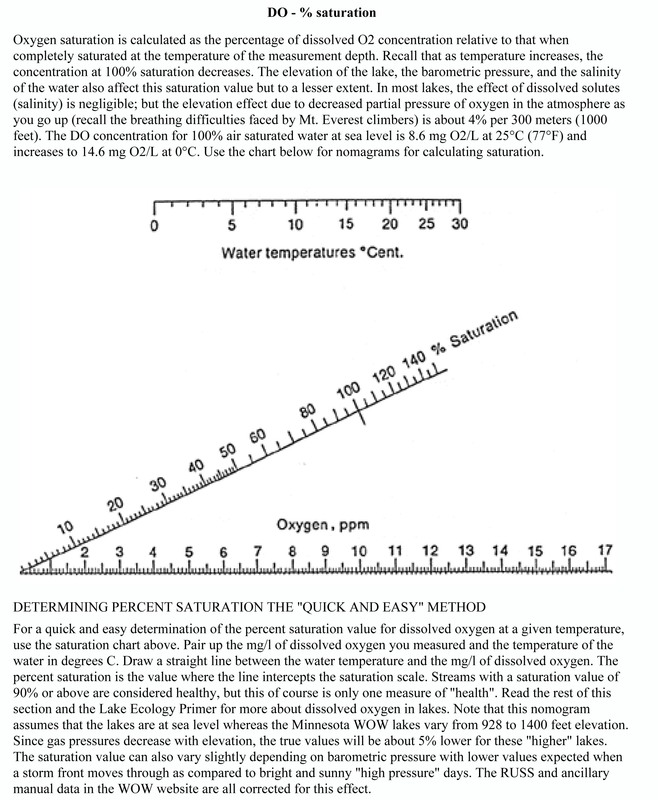 Phyllis found the website WaterontheWeb.org and downloaded this chart that Bruce used. And for those of you who aren't Centigrade oriented, I've built a chart to convert our Faherenheit temps. 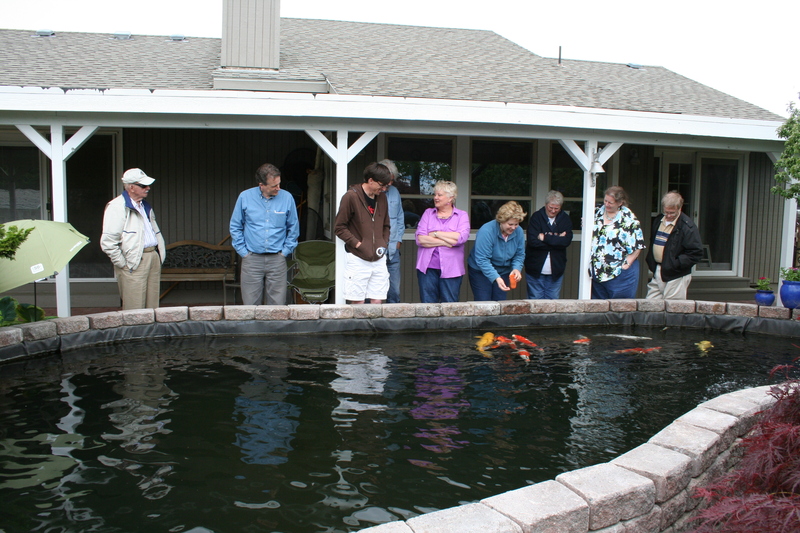 The group moved to Kennewick to Carmen and Gunar's pond to catch up on the koi and their new equipment changes. 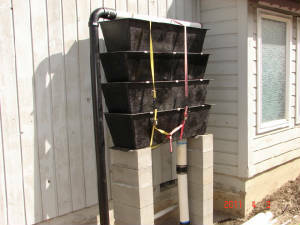 They've installed one of the prefilters like Ron's to screen out algae--and it's doing a very good job. 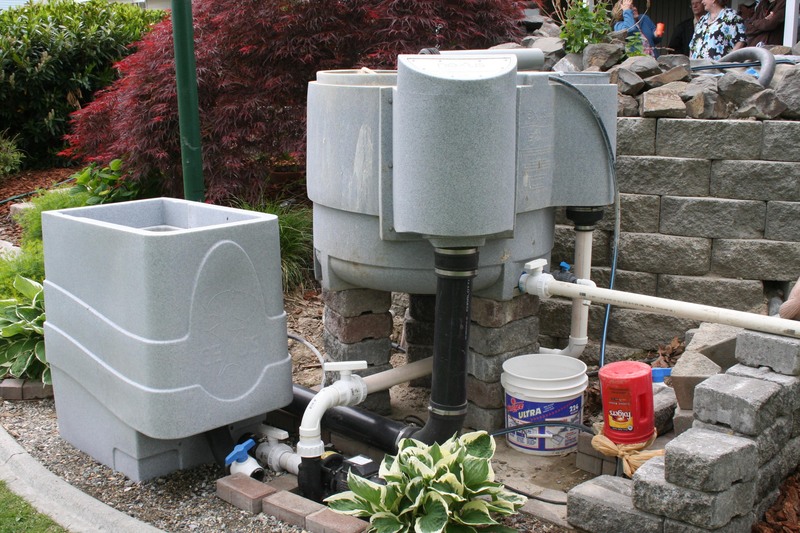 In the process of reworking the filtration system to incorporate the prefilter, the Nexus was raised to a height that made it necessary to change the water return to the pond. The waterfall, that was apparently inhabited by many very noisy frogs during the spring, will be dismantled and replaced with more beautiful plantings to compliment all the hostas and trees surrounding the pond now.